A great foundation for songwriters. 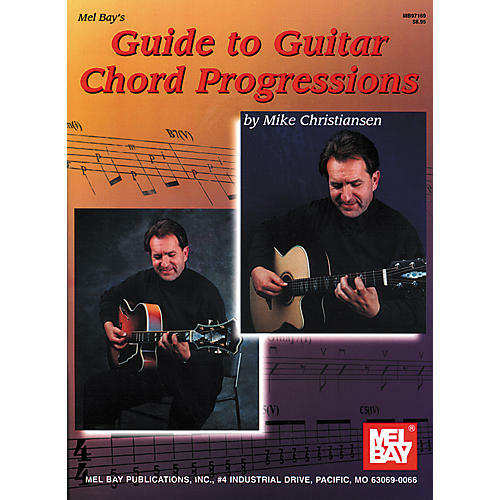 The Guide to Guitar Chord Progressions by Mike Christiansen is designed to assist guitarists in learning to change chords quickly, precisely, and smoothly. Unlike a dictionary of chord voicings or a chord finder, this instructional book will train the ear to hear and identify common chord progressions by keys, providing the guitarist with a foundation for writing original music.